There’s nothing quite like an afternoon in a charming tea house, intentionally taking time to slow down and spend some time with friends or family. (Be sure to check out this list of tea rooms.) 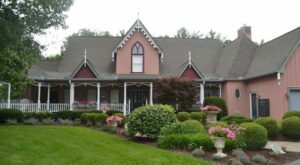 Cambridge Tea House in Marble Cliff, Ohio will make you feel like you’ve temporarily traveled across the pond or stepped foot into a fairytale. It’s a little-known tea room with a charming atmosphere and delicious goodies that will keep you coming back for more. 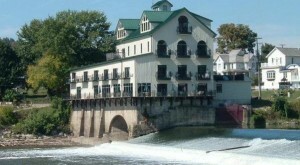 Stop by for a special breakfast, lunch or afternoon tea at this hidden gem in central Ohio. Cambridge Tea House makes a lovely day trip destination. 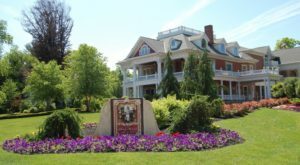 You'll find it at 1885 W 5th Ave., Marble Cliff, OH 43212. 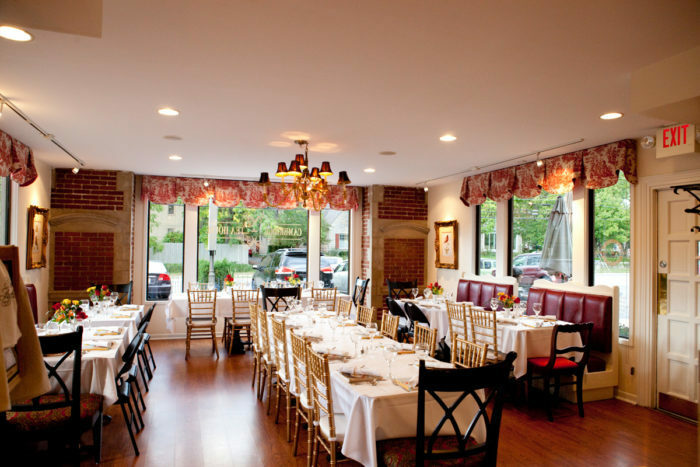 Inside, the charming table settings and peaceful atmosphere will make you want to stay awhile. 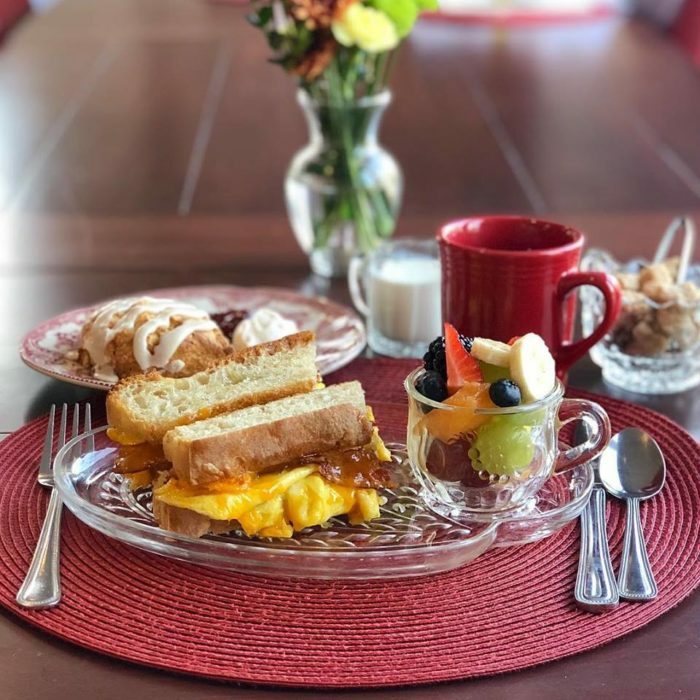 Cambridge Tea House is open Tuesday - Friday from 8 a.m. - 4 p.m. and on Saturday - Sunday from 8 a.m. - 3 p.m.
On the menu, you'll find delicious scones, sweets, sandwiches and more. 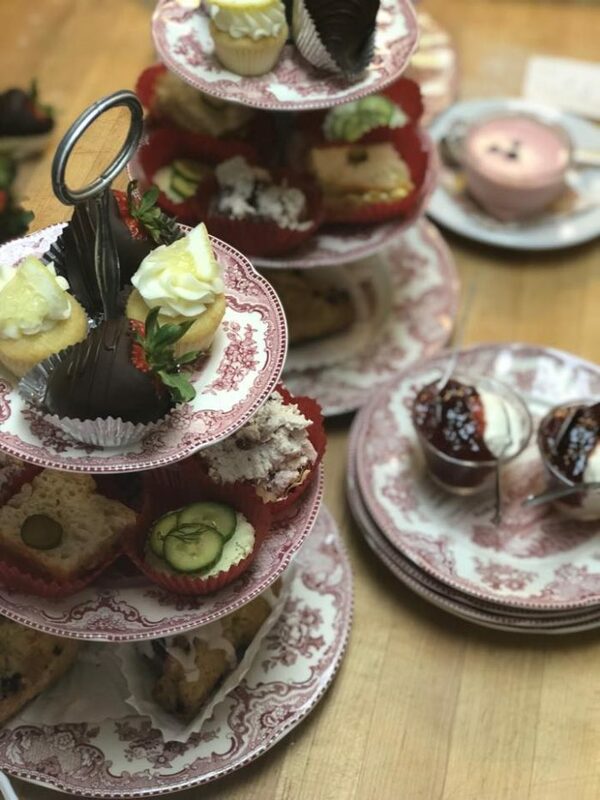 The traditional style Afternoon Tea features three finger sandwiches, a fresh-baked scone, miniature desserts and a pot of tea for $17.25. Pro tip: You can never go wrong with any of their scones or the Curried Egg Salad sandwich on homemade bread. 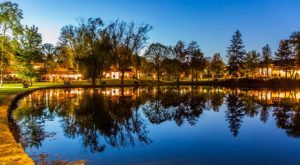 Both the menu and tea selections are seasonal, so you'll want to return at different times of the year. To view the current menu, click here. There's even a delicious breakfast menu, which is currently being served all day. Pictured above is the Egg and Cheese Breakfast Sandwich: Two Ohio eggs with real melted cheddar on house-baked bread, served with or without bacon. 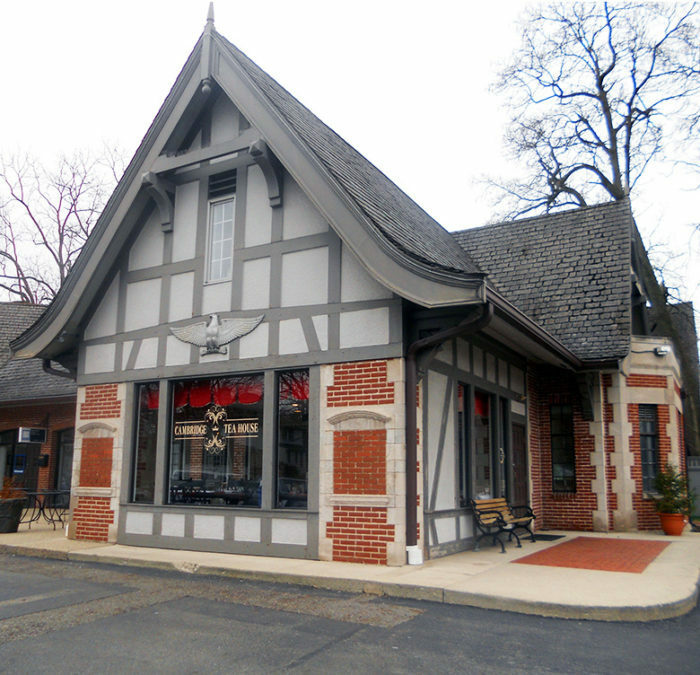 Cambridge Tea House is located at 1885 W 5th Ave., Marble Cliff, OH 43212. Have you ever been here before? If so, we want to know what your experience was like! 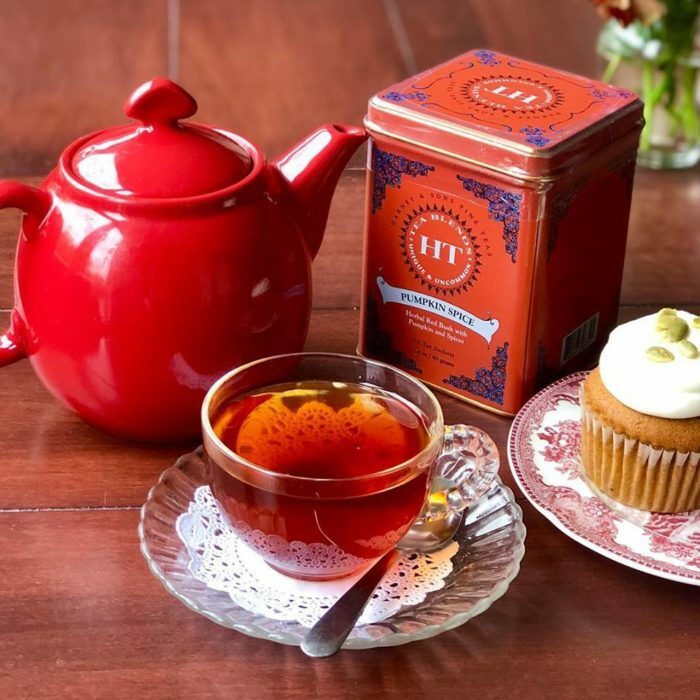 For more charming tea rooms in Ohio, check out our previous article: Visit These 12 Charming Tea Rooms In Ohio For A Piece Of The Past.